What insurance risks should you be aware of this winter season? Each season of the year brings its own unique challenges. Whether it's icy winter storms or summer heat waves, there is nearly always something homeowners must protect their homes against through their insurance coverage. 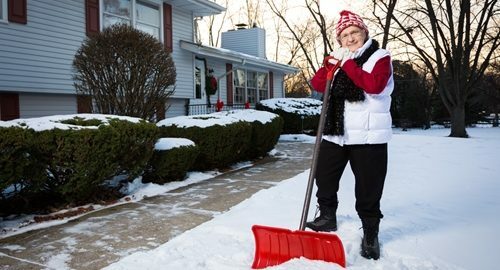 For winter in particular, the Insurance Information Institute found that the percentage of winter-related homeowner insurance claims for 2014 was more than double the average for the previous 20 years. "There are steps you can take to prevent frozen pipe damage." As a last resort, let cold water trickle from faucets when it's really cold outside. Better, keep your thermostat at 60 degrees or higher. Drain and disconnect exterior hose lines. Apply heat tape to copper/metal pipes and/or pipe insulation to non-metal pipes. Close garage doors to trap in heat. Unfortunately hail storms occur, and when they do, they bring the potential for extensive roof damage. After any storm, inspect your roof to locate any holes or weaknesses that could lead to water damage later on. It's important to file your claim sooner, rather than later. As the leading provider of web-based property valuation solutions, e2Value can assist you with all of your Insurance-to-Value (ITV) and collateral value monitoring needs. Whether you are looking for valuations for high-value homes, Mainstreet® homes, condos, co-ops, commercial properties, manufactured homes, log cabins, or farms and ranches, our patented estimator can quickly calculate the cost of replacing a residential, commercial or farm structure and provide you with a fast, cost-effective and accurate replacement cost valuation.